The DMS-5000 resumed the concept of the DMS-3/F system, a CP/M based machine that could be used as a stand-alone computer or as a network station for the HiNet local area network. 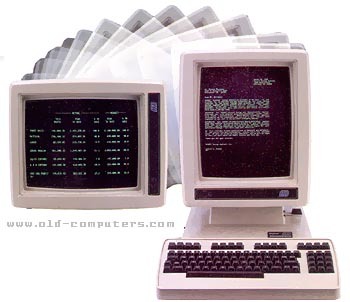 The DMS-5000 was sold in two versions, a Z80 based model with 64 KB of RAM, and a 8086 version with up to 1 MB of RAM. The novelty came from the A4 size rotating screen allowing wide spread sheets to be scrolled left and right, and long letters up and down. The screen had also some interesting high resolution features. Despite this innovative idea, the DMS-5000 was not a great commercial success. However, the rotating screen concept will be later adopted by several major computer manufacturers, like Rank Xerox. see more Digital Micro Systems DMS-5000 Ebay auctions !